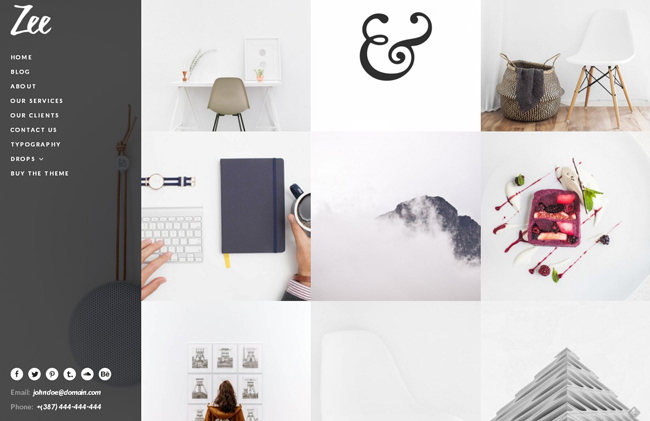 This is a modern, responsive, and easy-to-use WordPress portfolio theme. Quick to setup and easy to customize, thanks to a detailed manual, and the carefully structured code, Zee is the perfect theme for showcasing your work in an elegantly beautiful way. Zee has got you covered on all fronts, so if you ever get stuck on anything, rest assured that you’re going to get the help of a professional, if and when you need it, because the theme comes with excellent customer support.